We have discovered players asked in the World window that which instance to go to acquire the insufficient stuff for equipment enhancement and materials for potion making? In fact, it is very easy, the system have hints about all these. Now we take the excellent equipment which is lack of Turqoise and how to get it in relevant instance for example to show you how to deal with it. 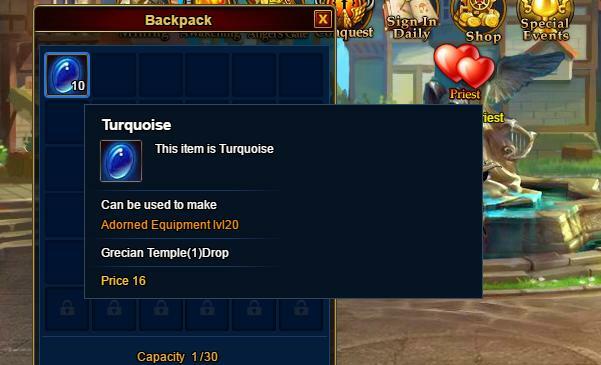 Click the Enhance button, opening the enhancement interface can check the amount of Turquoise as well and the amount of lack Turquoise. Single click the icon of Turquoise button can go to the relevant instance directly.